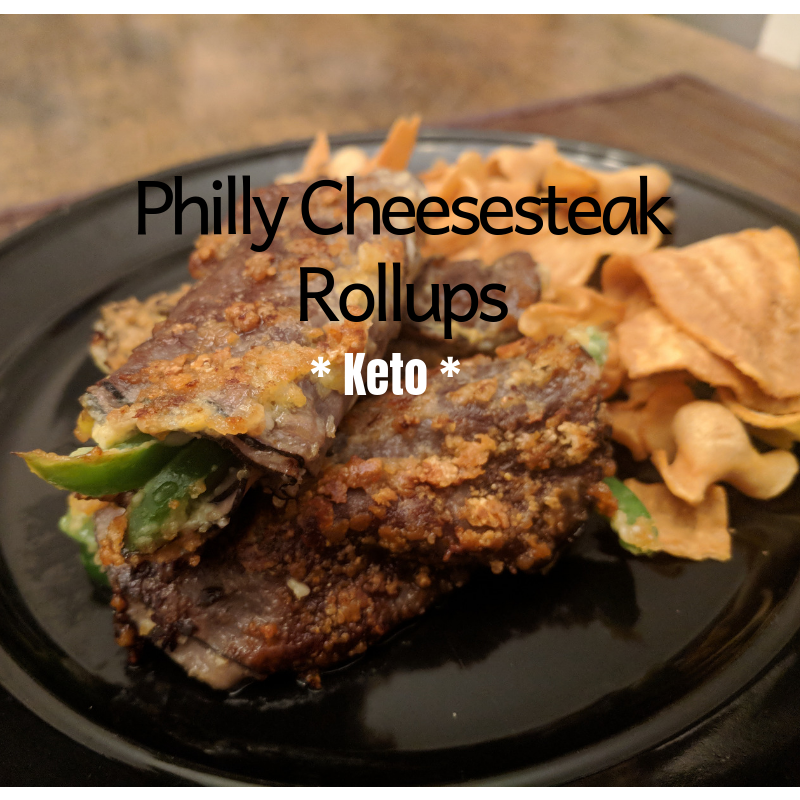 When doing low-carb, everything Philly Cheesesteak related seems to be one of my favorite go-tos! Afterwhile, though, I’m ready to spice it up a bit from the standard cheesesteak and peppers. These rollups did not disappoint! It’s like eating something full of carbs – but it’s not. Only 5g total carbs per serving, which is two rollups. Enjoy! P.S. The nutritional facts do NOT include the oil you’ll be frying these in, so realistically your fat count will be high than that! (High five to those on a high fat/low carb plan!). Heat oil in pan over stove top. Lay out 3 slices of roast beef, overlaying each other. Add a few slices of pepper and some mozzarella cheese. Roll up like a burrito. Repeat this 4 times. Add egg to a bowl and whisk. Add pork rinds and and parmesan to a bowl, mix. Dip each rollup in the egg and then in the rinds/parmesan mixture to crust. Add to heated pan and fry until all sides are crispy. Serve with your alone, with your favorite sauce, or with a hot cheddar sauce.